European governments must act to help families improve their children’s health and tackle the obesity epidemic. That’s the advice of I.Family researchers who, on Thursday 9th February, revealed the findings of a major international study into the diets and lifestyles of European children. 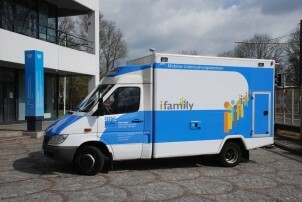 The I.Family Study – a 5-year international scientific study involving 17 institutions in 12 different countries – has examined the health, diets, physical fitness, local environments and peer and family influences of more than 16,000 children in eight European countries (Belgium, Cyprus, Estonia, Germany, Hungary, Italy, Spain and Sweden). 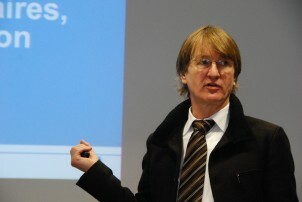 Professor Wolfgang Ahrens from the Leibniz Institute for Prevention Research and Epidemiology. “Government intervention is vital if we are to stem the tide of obesity across Europe and beyond. “Our findings clearly show that children from disadvantaged families are more often overweight or obese than those from more advantaged groups so it’s vital that extra efforts are made to target those worst off with bold policies designed to offer them the support they need,” continued Professor Ahrens. “Another key area in need of policy intervention is the issue of the mass marketing of junk foods to children. The current influence of commercial TV makes it difficult for even the most health-conscious parents to limit their children’s consumption of these foods, so action must be taken to support healthy choices,” said Professor Ahrens. At the Study’s final conference in Brussels, I.Family researchers revealed their key findings to policy-makers, healthcare and children’s health professionals, and health NGOs from all over Europe, aiming to inform policy and practice at local, national and European level. The main topics included dietary patterns, the importance of sleep, food choices, the role of friends, local environments, family influence, metabolic health, genetic factors and community interventions. Leading researchers from across Europe and from each of the disciplines and topics covered by the I.Family Study spoke throughout the day. The event was opened by Daciana Octavia Sârbu MEP – vice-chair of the European Parliament’s Committee on the Environment, Public Health and Food Safety (ENVI) – with guest speakers and chairs including Artur Furtado, Deputy Head of Unit at the Health Determinants & Inequality Unit, DG Sante, European Commission, and Dr Charmaine Gauci, Superintendent of Public Health at the Ministry for Health in Malta. Dr Gauci is also Coordinator of the Maltese Presidency thematic lead on childhood obesity – one of two key health priorities chosen by the Maltese Presidency of the Council of the EU. Rates of overweight/obesity vary widely between European regions – from around 40% of children aged between two and ten in southern Italy to less than 10% in Belgium. Socio-economic status had a major effect on rates of overweight and obesity across Europe (see graph below). As children grew up over the course of the study, we looked at how many children became overweight or obese. Over a six year period, almost twice as many children from medium or low socio-economic status (SES) became overweight/obese, compared with higher SES families (see graph below). Girls are more likely to be overweight/obese compared with boys. Less than a third of children meet physical activity guidelines of 60 minutes exercise per day. Children exposed to commercial TV are more likely to consume sweetened drinks, regardless of their parents’ norms or the daily duration of TV-viewing. Watching TV during meals, having a TV in the children’s bedroom and watching TV for more than 1 hour per day are all associated with being overweight/obese. Family members are similar to each other in their weight status and body composition, risk factors for disease and what they eat. Children tend to be more like their mothers than fathers. The body weights of children and teenagers are related to those of their peers. Teenagers are particularly likely to eat more unhealthy foods if their friends do and are more likely to be active if their friends are.